Gooey Brownie Cups, Peanut Butter Cups and Banana Nutella Cups have been such a hit, that I’ve decided it’s time for a new Cup. Aside from the fact that I just love these delicious desserts, my kitchen still looks like a war zone, which means that I need to work with the equipment and pans that I have yet to pack. I have been munching on a trail mix of chocolate, dried cherries, banana chips, cashews, sesame sticks and wasabi peas all week long. Not one of those prepackaged kinds, but rather a mix with ingredients tossed together just before eating. I know that some people do bake with all of the above ingredients, but I have not been hit with a craving for wasabi desserts. Yet, the idea of combining favorite treats together is always appealing. The biggest decision for me was choosing which treats to include. One would think it would be easy, but it was not. Finally, I opened up my pantry and got the answer, given that Mother Hubbard’s cupboards are really bare! 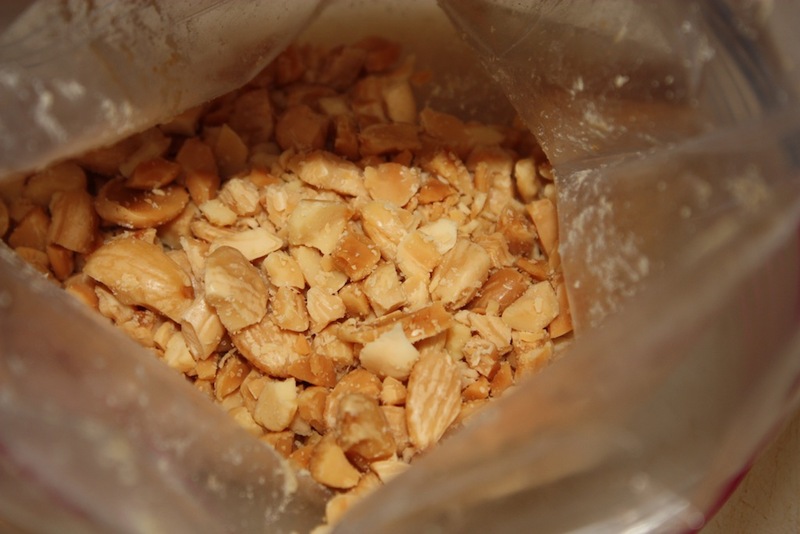 Marcona almonds are one of my favorite go-to nuts. They are roasted and salted blanched almonds from Spain. I serve them often with cheese or on their own. 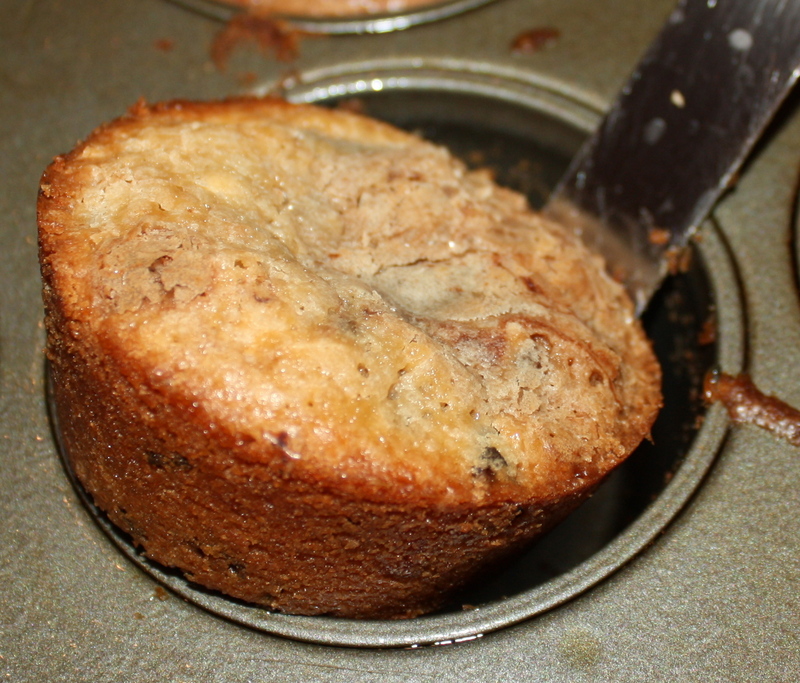 What I had not done prior to creating this recipe, was bake with them. 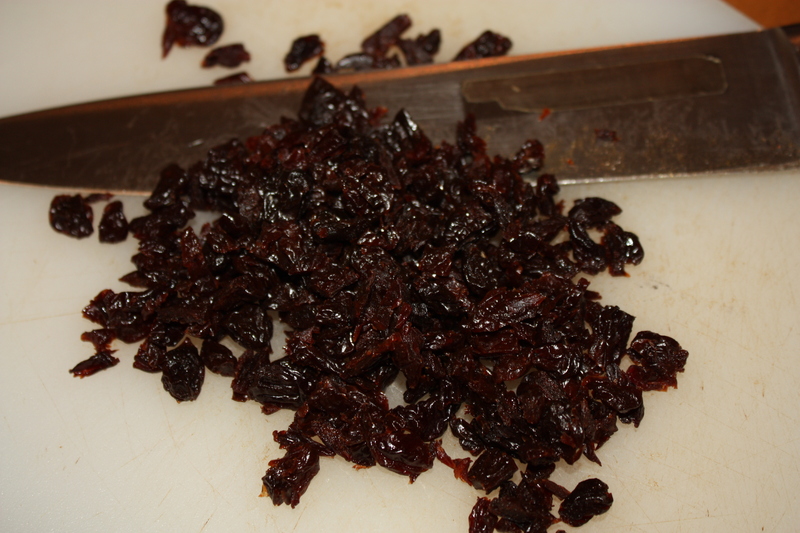 I chopped some up and added them to the mix, along with chopped dried cherries and chocolate chips. I was not sure if the combination would work but that has never stopped me from trying. 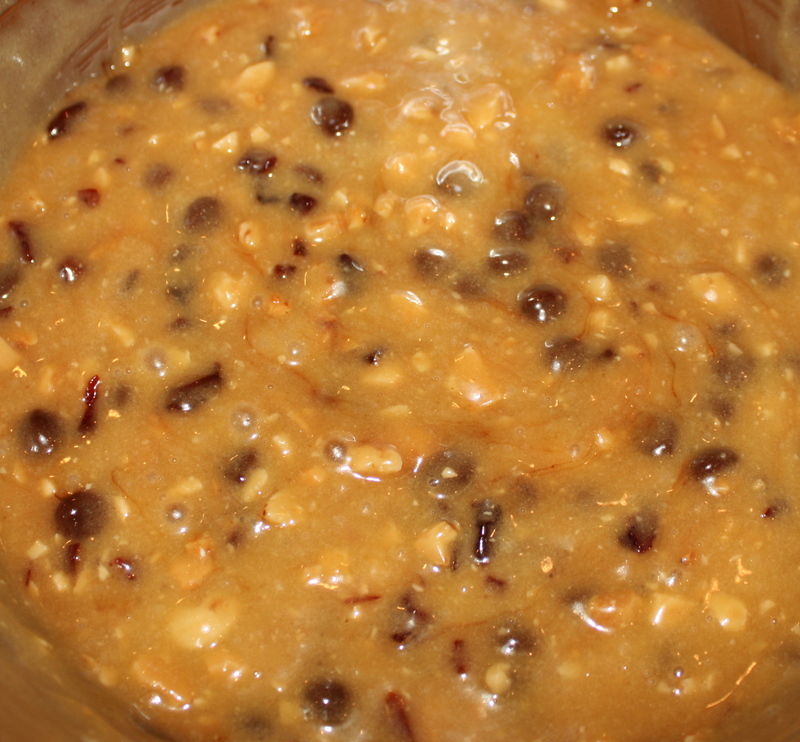 The cherries, nuts and chocolate on their own can take over a dessert. With this particular recipe, each one of the ingredients makes a statement. Depending on the bite you take, one may stand out above the rest or they will all combine to very subtlety tease your palate. Your pantry may not be as empty as mine right now. 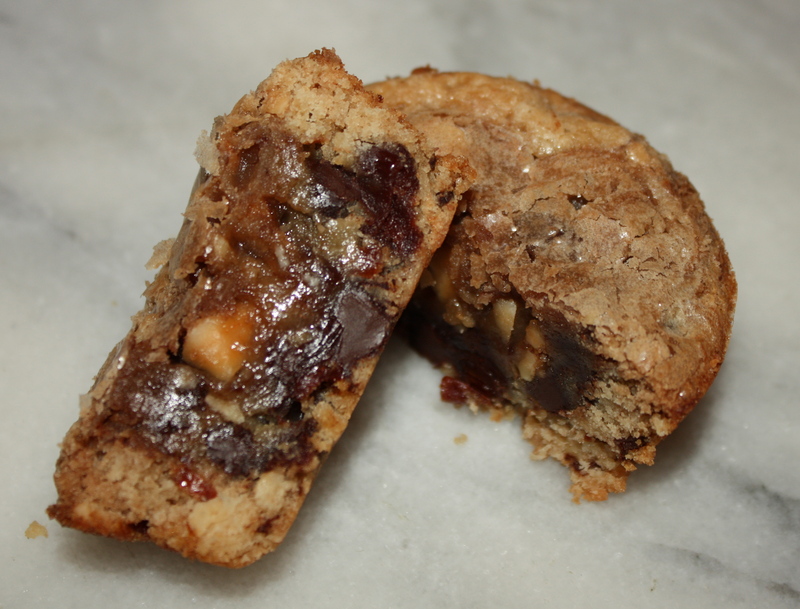 However, if you do not have what you need to make Marcona Almond Cherry Chocolate Cups, you know it is time to go shopping! Preheat the oven to 350°. 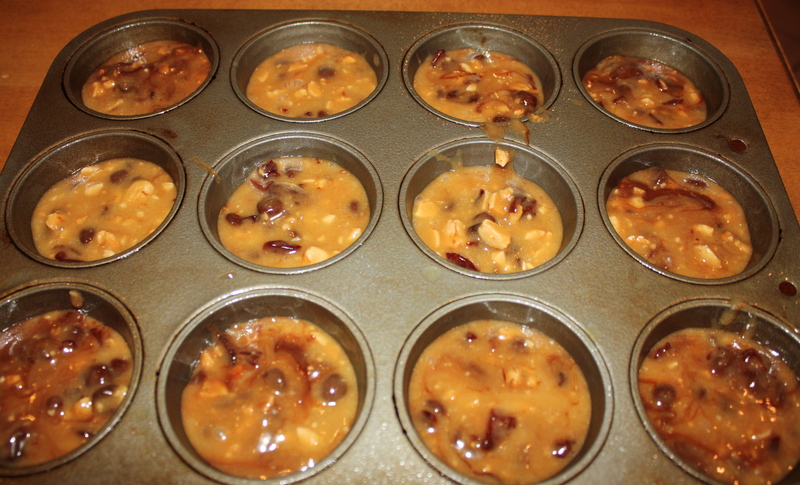 Set aside two 12-cup muffin pans. 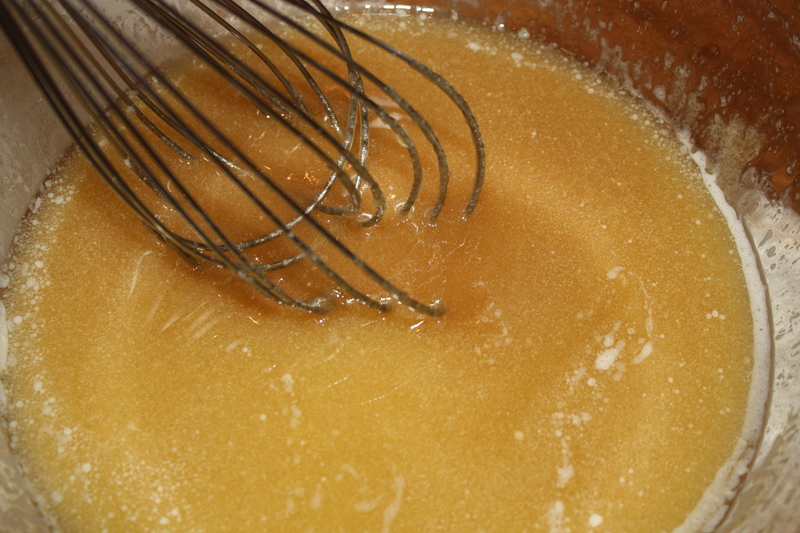 Place the butter, sugar and brown sugar into a large microwaveable bowl. 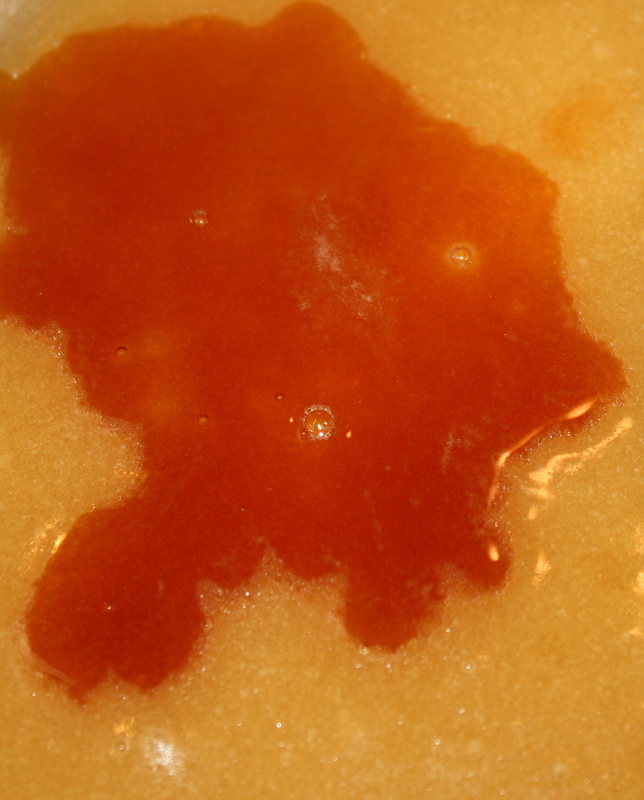 Microwave until the mixture is completely melted and bubbly. Be sure to use oven mitts when removing from the microwave as the bowl will be very hot. 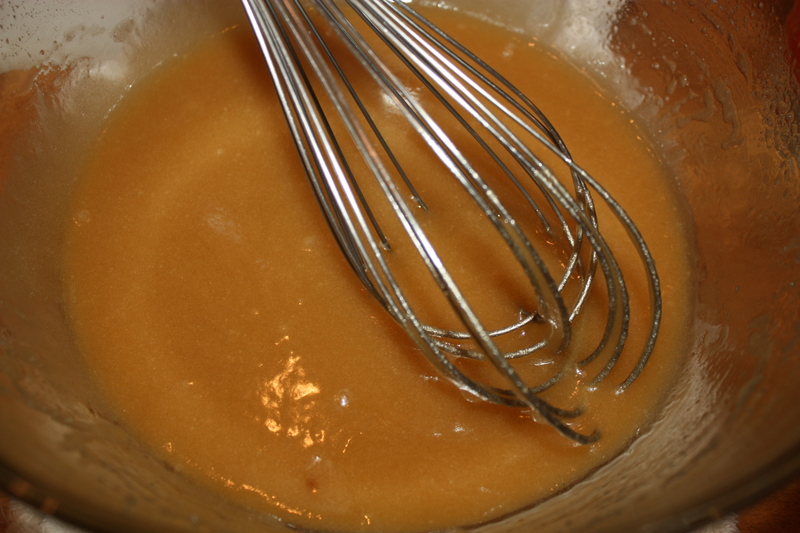 Whisk to blend the ingredients together. Set aside to cool for 15 minutes. 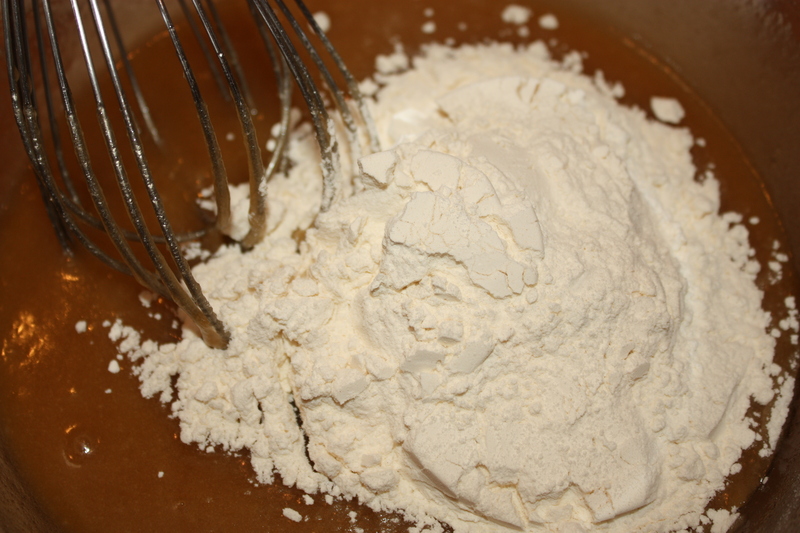 Whisk in vanilla, then the flour. 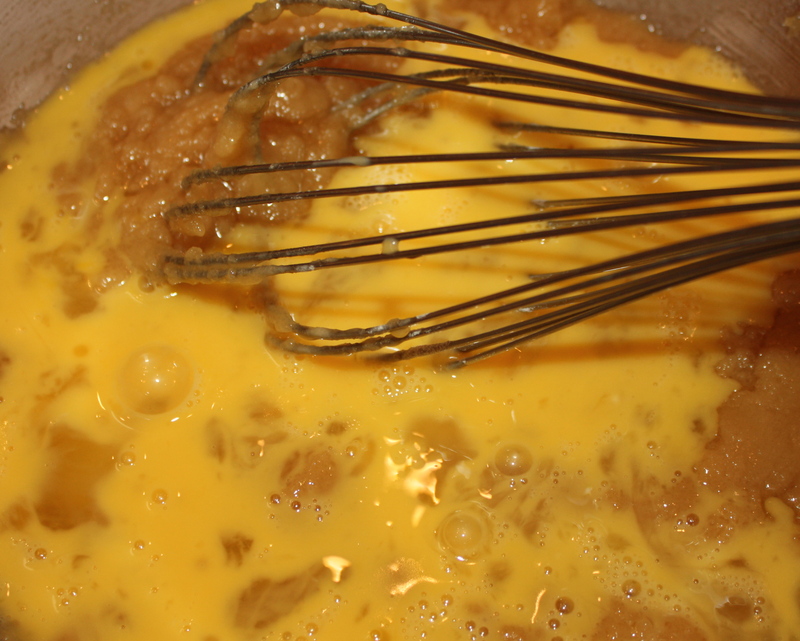 Continuously whisk the mixture while adding the eggs. 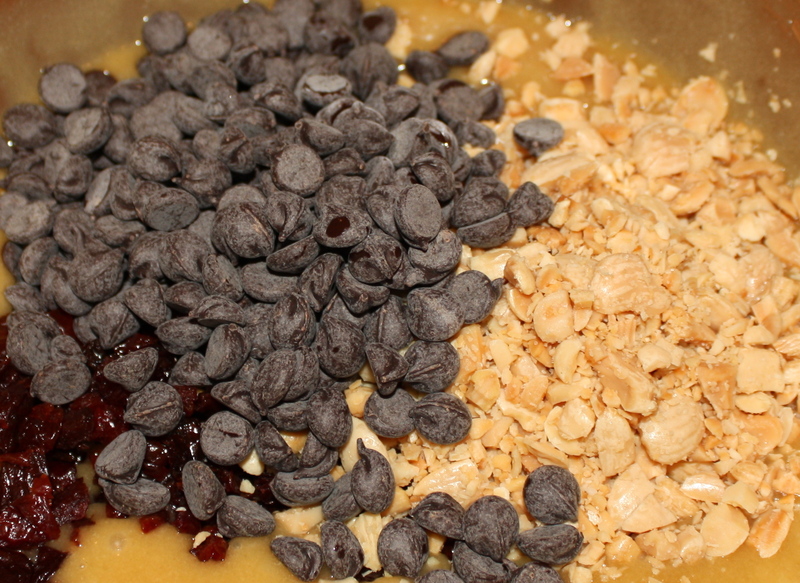 Lastly, use a wooden spoon to mix in almonds, cherries and chocolate chips. Spray one pan and three cups of the second pan with non-stick cooking spray. 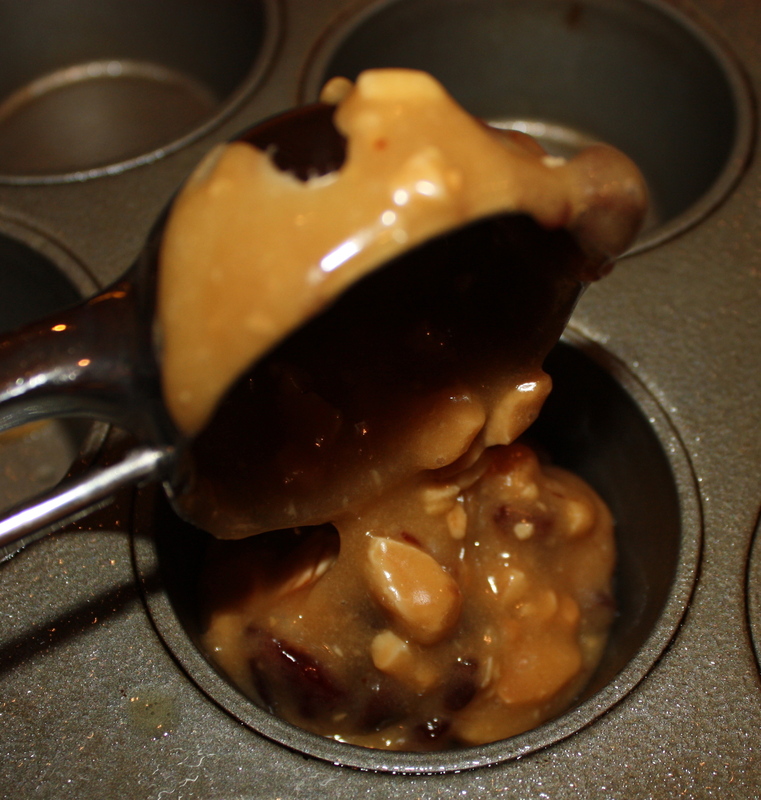 Use a large cookie dough scoop or a gravy ladle to evenly transfer the batter to the greased muffin cups. Bake at 350°, on a rack in the middle of the oven, for 18 minutes, rotating pans front to back and side to side halfway through. Remove from oven and cool completely in the pan. 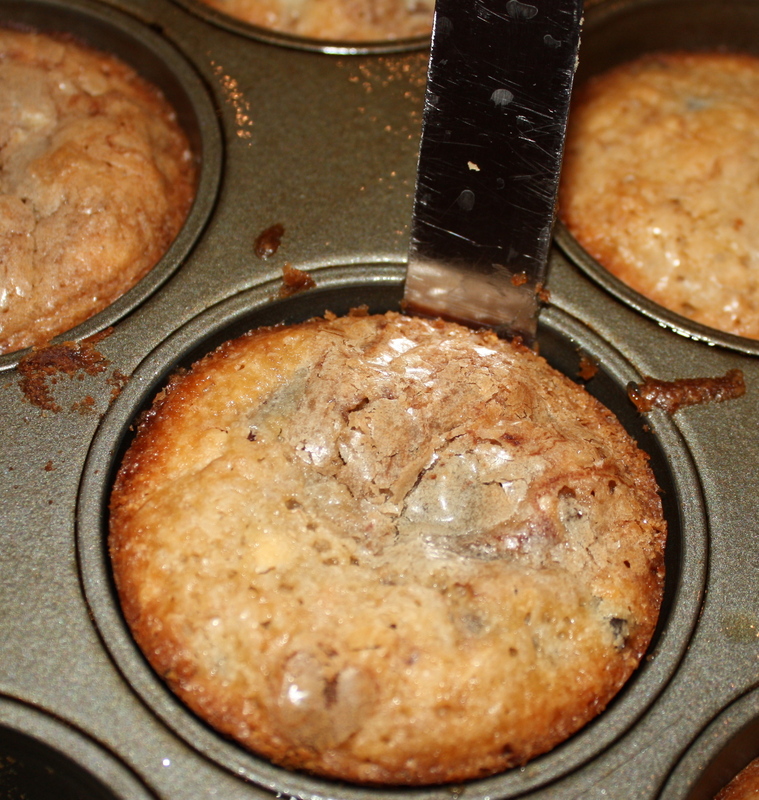 Use a small metal spatula to go around the edges of Marcona almond-Cherry-Chocolate Chip Cups.